As a holiday destination, Phuket ticks many boxes, including lovely beaches, great shopping and fantastic dining and nightlife. 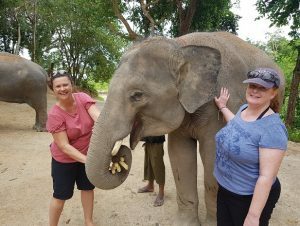 When five Western Australia-based personal travel managers (PTMs) were invited to participate in a week-long famil to Phuket, for some it was a chance to become reacquainted with an old favourite, while for others it was time to find out first-hand what makes the island such a popular choice. The famil participants flew to Phuket with Thai Airways, and with an evening arrival on the island, were happy to be whisked directly to Merlin Beach’s Phuket Marriott Resort and Spa, where they had much of the next day free in which to enjoy the resort’s facilities and indulge in a little retail therapy in the nearby town of Patong. 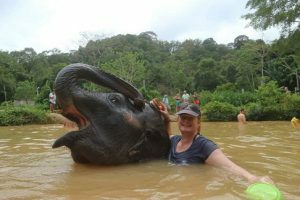 PTM Kelly Savka, who is representative for Balga, WA, says although it was not her first visit to Phuket, she welcomed the opportunity to refresh her memory and find out what had changed since her last visit. Getting to know the island’s layout was also useful for PTM, Rachel Banks, who is TravelManagers’ representative for Broadwater, WA. 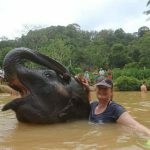 The group’s itinerary saw them visit hotels and resorts across the island, from Cape Panwa in the southeast to Bang Tao Bay in the northwest, but for many, the main highlight was the chance to visit the Elephant Retirement Park in central Phuket. 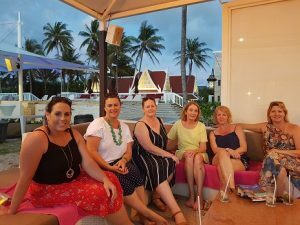 WA-based personal travel managers (L-R) Claire Little, Rachel Banks, Kelly Savka, Sally Seward, Melissa Rowley and Lyndall Hewitt enjoyed the opportunity to experience Phuket. 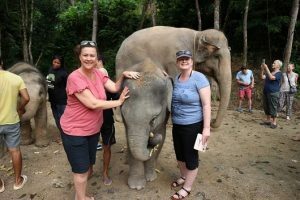 TravelManagers’ Executive General Manager, Michael Gazal, says the group’s visit to the Elephant Park reflects a growing demand among clients for ethical travel experiences. The week-long famil concluded an overnight stay and hosted dinner at Angsana Laguna, followed by a day at leisure to enjoy the resort’s facilities prior to the group’s departure.